Pairing food + cocktails is not as easy as wine, but it can be done! Just as acidity + flavor profiles in wines match with certain dishes, so too can cocktails’. 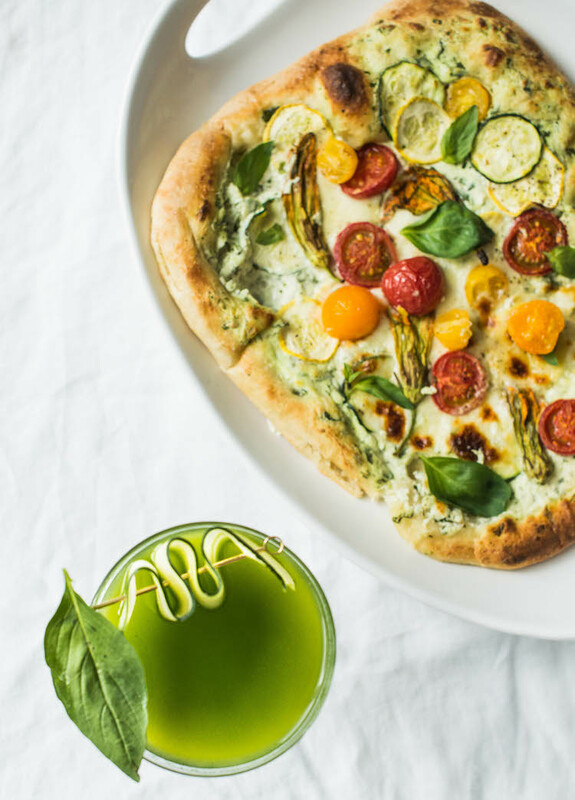 Take for instance a creamy vegetable flatbread with squash, squash blossoms, tomatoes, parmesan + basil. Instead of pairing a contrasting flavors, which can be more tricky, I tried to keep a similar profile with the drink. 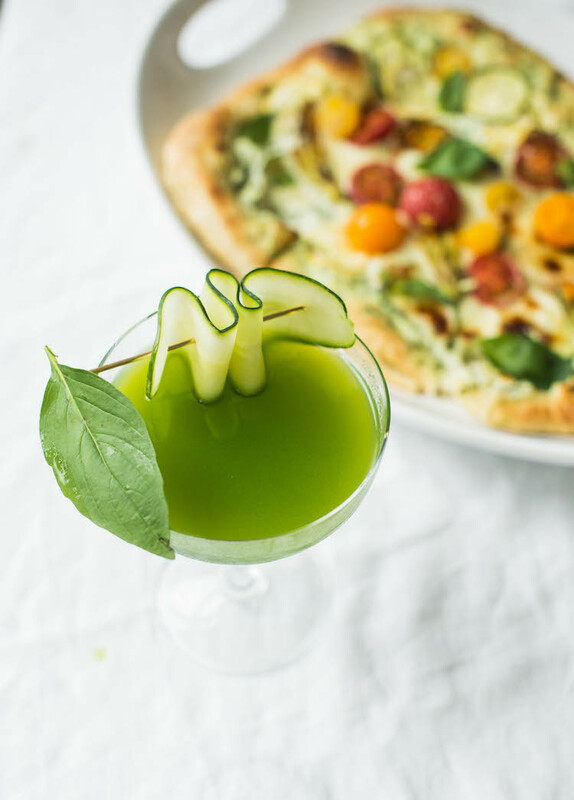 A Cucumber Basil Gimlet with gin goes really well with similar flavors + a brightness from lime juice helps cut through the creaminess the flatbread has. The flatbread recipe is from my friend Amanda Frederickson who I turn to when ever I need some recipes of food inspiration (you can find a cocktail inspired by one of her desserts here!) I used a slightly floral gin, like Hendricks, to go with the squash blossoms. There is basil in both so that created a harmony among the two. Cucumber add a vegetal note that mimicked that of the squash. 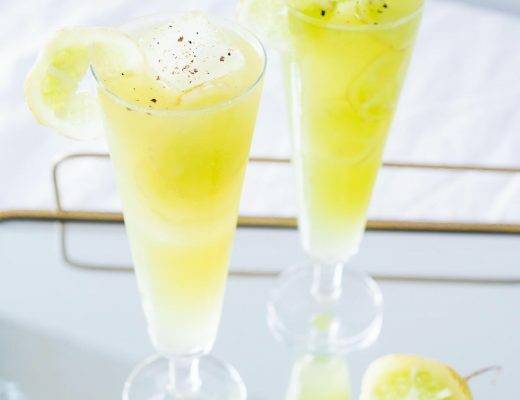 Et voila, a delicious food + cocktail pairing to serve at a party or a date night home! 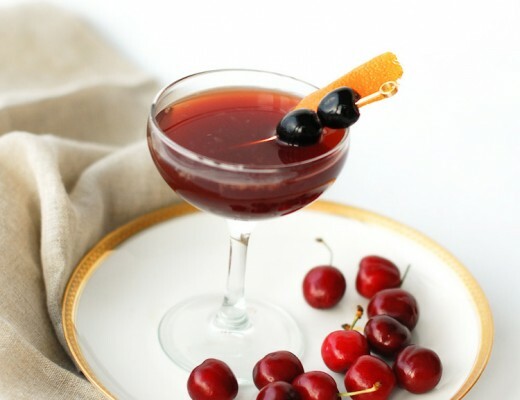 I hope you take a whirl at pairing cocktails to food! 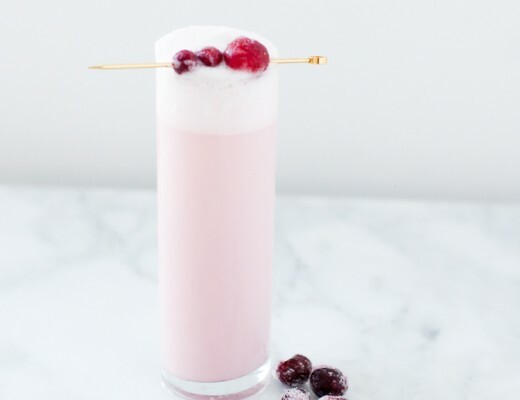 I am looking to create more cocktail + food pairings soon. What would you like to see here?! Add first 3 ingredients into a Vitamix* or other blender. Blend low to incorporate + than blend on high. 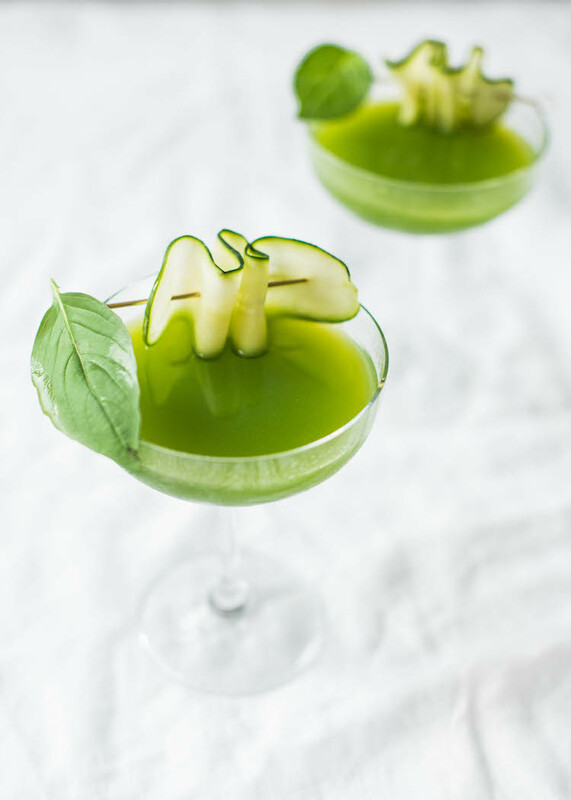 Add the cucumber + syrup and blend. Strain with a fine mesh strainer into a cocktail shaker with ice. Shake + strain into a coupe. 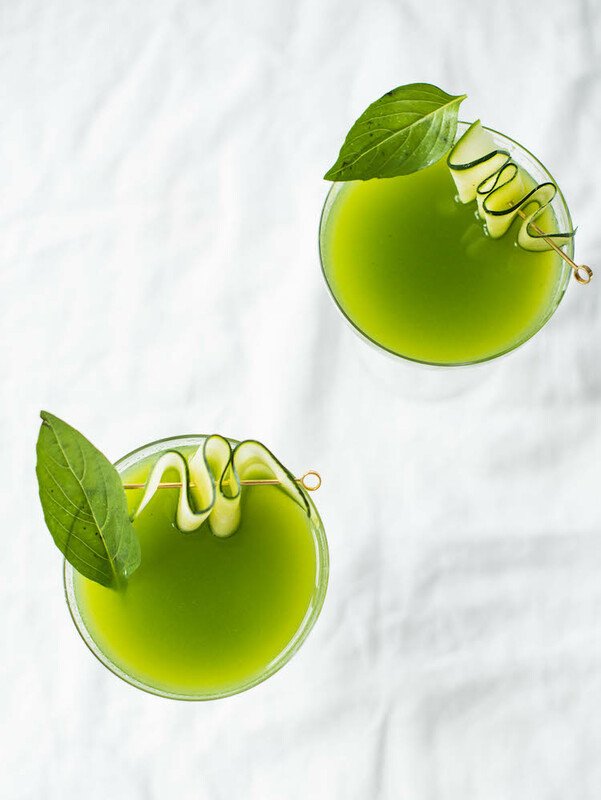 Garnish with cucumber ribbon + basil leaf. *This Gimlet uses something called blender muddling, via Dave Arnold of Liquid Intelligence (only the best nerdy science cocktail book around!) + is perfect for preserving the brightness of herbs like basil. Can I just say that I am obsessed with this drink? 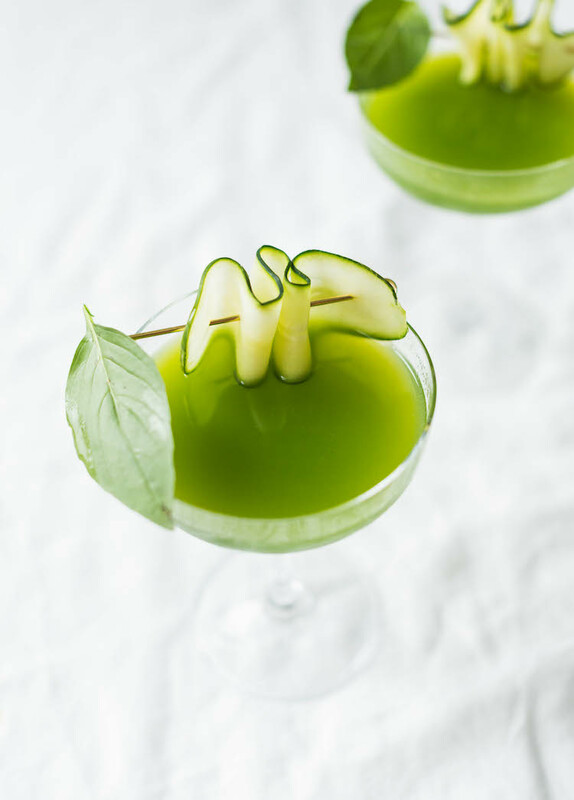 Basil and cucumber are my jam, but gin is my favorite liquor…so basically it’s a match made in heaven over here. I will be making this weekend! Also I love that you’re tackling the cocktail and food pairing challenge. I always find it difficult to drink anything other than wine or the occasional beer with my food unless it’s something like popcorn. Am very interested in your match-ups! If you want something healthier, maybe a salad using some of the toppings from the flatbread (tomatoes, basil) and top with a protein like chicken or fish. I think an herb crusted chicken breasts with a citrus marinade would also be delicious with the Gimlet. I hope you enjoy, Jessica!